The Indian car market has become very attractive to car makers. Jaguar Land Rovers has big plans on how to conquer this market. By the end of 2019, JLR will introduce one or more hybrid car models specifically intended for the Indian market. At the moment, JLR has two plug-in hybrid cars in its fleet. The Jaguar I-PACE is the first fully electric car powered by batteries to be introduced to the Indian market. According to JLR, this is planned for the second half of 2020. At this point, there are no announcements regarding which of the two JLR’s PHEV SUVs hybrids is going to enter the market first. Anyhow, the competition is already there. Volvo and Lexus have already established a base presence in the Indian car market, offering luxurious plug-in hybrid vehicles. JLR has recognized the importance of having hybrid vehicles in its fleet. Especially today when the infrastructure that supports the adoption of hybrid and electric cars is expanding. JLR has started electrifying its SUVs, which makes its product portfolio more competitive in the new age market. JLR has decided to add the Indian market to its list of target markets. The famous British carmaker has made it clear that it plans on introducing the electric version of all popular car models by the end of 2020. For the Indian market, this is planned to happen in 2019. JLR started penetrating car markets on a global scale with its two hybrid car models. 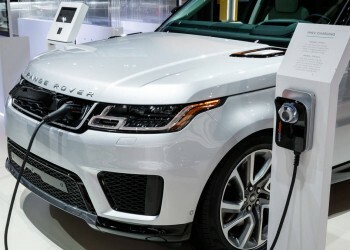 Both Range Rover and Range Rover Sport feature plug-in hybrid capabilities, which allow them to run on an electric power source for just below 50 km. The chances are that we are going to see at least one of these models, if not both, launched in the Indian market by the end of 2019. There are some speculations that JRL will go with Range Rover Evoque because it is about to be launched soon. Given the technology and capabilities of this new JLR vehicle, it’s easy to see why JRL would choose the Evoque to represent it in the new market. The updated Range Rover Velar is also an option. The Land Rover Discovery is probably going to join the JLR stable in India, but its arrival is going to be somewhere in the second half of 2020. The official word came from the company. Rohit Suri, the Jaguar Land Rover India Ltd. (JLRIL) president, and managing director said: “Jaguar Land Rover's focus is to commit itself to a more sustainable future and our engineers have developed just the right products to lead us on this path." It is too early to provide accurate price estimations. But if we refer to JLR’s current pricing policy and current market standings, we can offer you the following estimates. Let’s take a look at the Range Rover’s base spec Vogue prices. Currently, in the UK this car model comes with a price tag of Rs 75.18 lakh – this is a converted approximate amount. The same car model with the same specs is priced at Rs 1.8 crore in India. Jaguar XE 2017 is priced at Rs 35.85 lakh, and at the same time, the Land Rover Discovery 2018 comes with a Rs 71.38 lakh price tag on it. This price difference can help us assess the hybrid variant price. The hybrid variant of Range Rover is priced at Rs 80.25 lakh in the UK. And this is a price for the vehicle without any of the offered extras. This means that we can expect to see the same model in the Indian market being sold at Rs 1.9 to 2.0 crore. These are just our estimates. We will have to wait to see for the prices until JLR to actually launches the vehicle. The price will also depend on the SUV Land Rover model JLR chooses to introduce to the Indian market. Before a car manufacturing company can start penetrating the market, the governments of the countries that constitute that market have to do everything in their power to improve the infrastructure. This includes the charging infrastructure that would enable car companies to arrive with hybrid car models, and later on, introduce fully electric cars. The Indian government’s trust towards electric vehicles has grown exponentially over the course of the past year. The strategy to invest in the charging infrastructure aligns perfectly with JRLs strategy to introduce electrified vehicle options to its product portfolio by 2020. With FAME-II scheme and consistent investments in improving and expanding the charging infrastructure, the Indian government has enabled all hybrid and electric car manufacturers to come and compete in its markets. On the other hand, FAME-II will encourage and improve the adoption rate of electric vehicles, which will contribute to building a healthier environment for future generations. At this point in time, we only know for a fact that JLR will enter the Indian market with the I-Pace, which is the first fully electric vehicle to arrive in India. JLR has also made it official that they will launch a plug-in hybrid vehicle on the Indian market by the end of 2019. Unfortunately, we will have to wait for the official JLR announcement to discover which of the hybrid Land Rover models is going to be the first to arrive on the Indian market. But if we take a look at the current JRL fleet, it is safe to assume that it’s going to be either the Range Rover Sport or Range Rover.